Areas of interest: Iberian Studies – Galician Studies – Portuguese Studies – Cultural Studies. 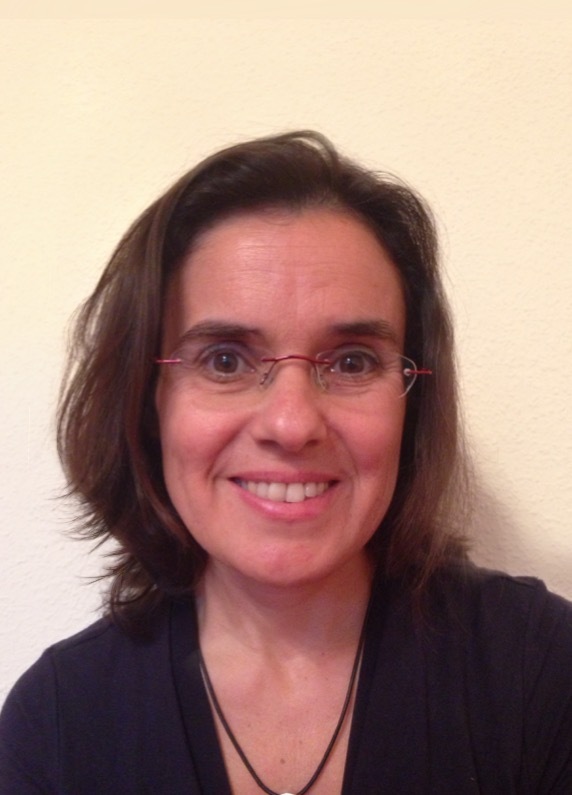 Teresa Pinheiro is a Professor for Iberian Studies at the Institute for European Studies of Technische Universität Chemnitz, Germany. She graduated from the Universität zu Köln and the Universidade de Lisboa with degrees in German and Portuguese Studies and received her Ph.D. in Cultural Anthropology at the Universität Paderborn, Germany in 2002. Her research fields include emigration, representations of collective identity, and the politics of memory in the Iberian Peninsula. She is Reviews Editor of the International Journal of Iberian Studies and is currently working in a digital project on the Second Spanish Republic. Recent publications in the field of Iberian Studies include “Iberian and European Studies – Archaeology of a New Epistemological Field” (2013), “Introduction. Mass Media and the Configuration of Memory in Contemporary Spain and Portugal” (with Esther Gimeno Ugalde, 2014), and “Memoria de la República en las transiciones democráticas ibéricas” (2015), among others. She is also co-editor of the volume Peripheral Identities: Iberia and Eastern Europe Between the Dictatorial Past and the European Present (2011). Pinheiro, Teresa. 2008. “Iberian Jesuits Worldwide: The Influence of Communication on the Spread of Jesuit Missions in the 16th Century.” In Technologies of Globalization, edited by Reiner Anderl, Bruno Arich-Gerz, and Rudi Schmiede, 235–48. Darmstadt: Technische Universität Darmstadt. Pinheiro, Teresa. 2015. “Memoria de la República en las transiciones democráticas ibéricas.” Pasajes de pensamiento contemporáneo, no. 48: 49–64. roderic.uv.es/bitstream/handle/10550/56420/49-64.pdf?sequence=1. Pinheiro, Teresa. 2007. “¿Paraíso ibérico en tiempos de guerra? Visiones de España y Portugal en ‘Cuadros de un viaje por España y Portugal’ de Willy Andreas y ‘La noche de Lisboa’ de Erich Maria Remarque.” Itinerarios: revista de estudios lingüisticos, literarios, históricos y antropológicos, no. 6: 235–54. https://dialnet.unirioja.es/descarga/articulo/5608497.pdf. Pinheiro, Teresa. 2011. “Iberian Identities between the Colonial Past and the European Present.” In Peripheral Identities: Iberia and Eastern Europe between the Dictorial Past and the European Present, edited by Béata Cieszynska, José Eduardo Franco, and Teresa Pinheiro, 299–312. Chemnitz-Warsaw-Glasgow-Madrid-Lisbon: Pearlbooks. Pinheiro, Teresa. 2008. “La deconstrucción de España en relatos de viajes portugueses de finales del siglo XIX.” In A Construção do Outro: Espanha e Portugal frente a frente, edited by Tobias Brandenberger, Elisabeth Hasse, and Lydia Schmuck, 197–218. Tübingen: Calepinus Verlag. Pinheiro, Teresa. 2014. “Media Configurations of the First Portuguese Republic and the Second Spanish Republic in the Early Twenty-First Century.” International Journal of Iberian Studies 27 (2-3): 167–82. http://eds.b.ebscohost.com/eds/pdfviewer/pdfviewer?sid=a2c1198f-78d0-4ca0-a0fb-891928b4d809%40sessionmgr120&vid=0&hid=119. Pinheiro, Teresa. 2013. “Iberian and European Studies – Archaeology of a New Epistemological Field.” In Looking at Iberia: A Comparative European Perspective, edited by Santiago Pérez Isasi and Ângela Fernandes, 27–42. Hispanic Studies: Culture and Ideas 56. Oxford / New York: Peter Lang.